Greater California German Shepherd Rescue is a 501(c)(3) public charity non-profit. We are an all-volunteer group of German Shepherd lovers dedicated to rescuing German Shepherd Dogs from at-risk and unacceptable situations and finding them permanent, loving homes with qualified owners. We serve the communities surrounding Modesto, Merced, Greater Sacramento, and South Lake Tahoe, and occasionally parts of the North and East SF Bay area. Except for a portion of Nevada around Lake Tahoe, we don't adopt dogs out of state and rarely adopt out of our area. There are too many other German Shepherds in need of good homes in the other areas. All of our dogs are in foster homes spread throughout our service areas. We aren't a shelter and don't have a facility. We don't take in strays, we will only deal with the dog's legal owner. If you need to rehome a dog, please read the information on our Giving Us A Dog page. If you are interested in adopting one of our wonderful German Shepherds, you can see their bios and pictures on the Available Dogs page, and you can meet them at one of our monthly Adoption Days or other community Events. The first step toward adopting one of our dogs is to read our Adoption Information page. If you would like to help us save these deserving dogs, please see our How to Help section, where you'll find information about volunteering, fostering and sponsoring a dog. You can also help by donating and shopping with our supporters on our Partners page. 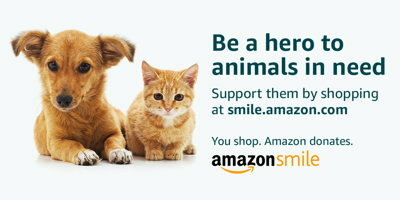 Please use AmazonSmile - every purchase supports rescue!! Amazon will donate 0.5% of the price of your eligible AmazonSmile purchases to Greater California German Shepherd Rescue whenever you shop on AmazonSmile. Shop Amazon & Help Rescue! Do you love German Shepherds? Have a passion for big-eared, long-tailed, highly-intelligent beasties who give you their heart & soul while trying to outwit you behind your back? We do, too! 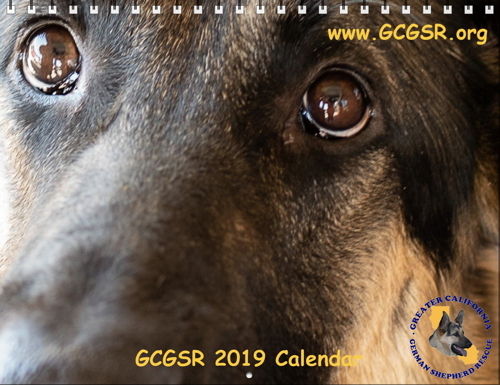 Help us celebrate all of the marvelous German Shepherds we've saved throughout the year with one of our Annual Calendars. Calendars will be available at our regular Adoption Days starting in December, or can be ordered. As always, all profits go right back into helping save more dogs. "An energetic, loyal and devoted companion, the German Shepherd isn’t a breed but a lifestyle." German Shepherd Dog Breed Information - vetSTREET. Your pet. Your vet. 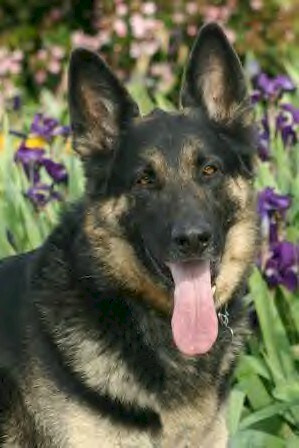 Read a great article on Leadership and your German Shepherd (or any dog). Check out our adopted dogs on our Happy Tails page! All of our dogs have their own page on our website FOREVER! 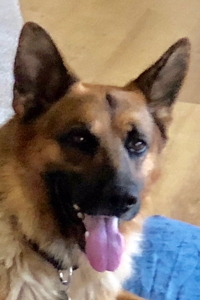 Please send us an update on a dog you adopted from Greater California German Shepherd Rescue and we'll add it to our Testimonials. Check out all the faces on our Dogs page! We are always adding new dogs every week. We have a dog for every hearth and home. Adoption days are a wonderful opportunity to meet many of our dogs in one location, talk to their fosters, and learn more about German Shepherd Rescue activities in your area. 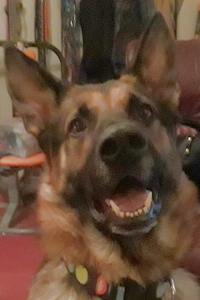 Knowledgeable volunteers can answer your questions regarding the adoption process, home visits, what is involved in rehoming a rescued German Shepherd, their training needs, and discuss with you which dog is most compatible with your family, home and lifestyle. We hold regular monthly Adoption Days in the following locations. We can be found out in front of the store, we're there every month, rain or shine! Follow the link for directions. For other community events we will be participting in, check out our Events page. Come by and say Hello! German Shepherd Dogs (GSDs) aren't for everyone. They're big, energetic dogs with long tails, and can clear a coffee table with one swipe. They have a lot of hair with a double coat, and that means they shed year round - and they shed a LOT. They're active, alert, assertive, noisy, mouthy and BOSSY! They take work - a LOT of work. They need socialization, leadership, exercise and a job, or they'll find their own amusements, usually by chewing, digging, barking or escaping. They tend to get territorial and protective. If you don't mind all that, if you understand and love the breed, and are willing to put the necessary work into one, you'll end up with a very intelligent, very devoted, and very responsible member of the family. There isn't a finer family dog or all-around all-purpose dog than a good German Shepherd who is well-trained and well-socialized. 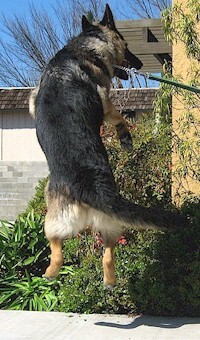 German Shepherds come in a wide variety of temperaments and energy levels. For an explanation of how we match them to the right home, read our Dog Rating Levels. All of our rescue dogs go to the vet when they come into the program for health checks, spay/neuter, vaccinations, heartworm tests and other preventive care. Some need more extensive treatment, and for that we have The Rainbow Fund. On rare occasions, we may need to board some dogs in commercial kennels. Our adoption fee generally covers less than half of our average costs per dog, so we need to make up the difference with charitable donations. Checks, cash, and dog supplies are always helpful. Easiest of all, you can donate directly using PayPal! We also take Memorial Donations. We thank you, and the dogs thank you! Greater California German Shepherd Rescue is a 501(c)(3) non-profit charitable organization, and your donations are tax deductible. Our EIN# is 36-4614672. Acknowledgement letters upon request. More opportunities to help us save dogs can be found on our Partners page.